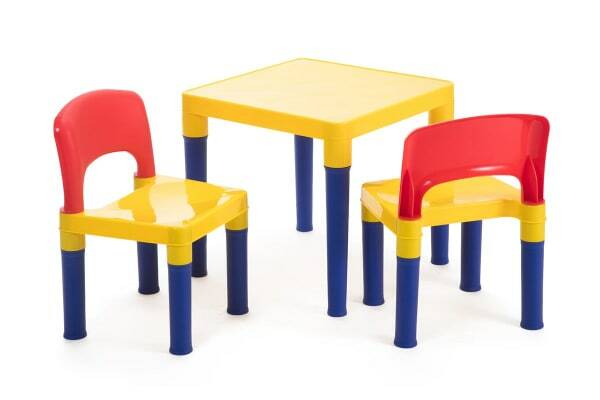 An elegant addition to your kid’s room, the Lenoxx Kids Table & Chairs Set allows your little one to have fun with friends. 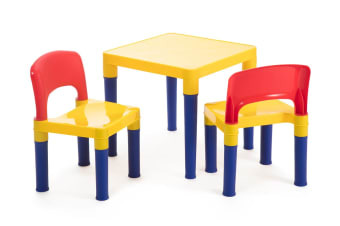 The Lenoxx Kids Table & Chairs Set comes packaged with two chairs and a table, in vibrant colours. The table set can be used as a standard children’s play table, perfect for tic-tac toe, colouring books, Play Doh and much more. When it’s time to pack up, the chairs can be stacked upside-down onto the table and stored without taking up much space inside the house.